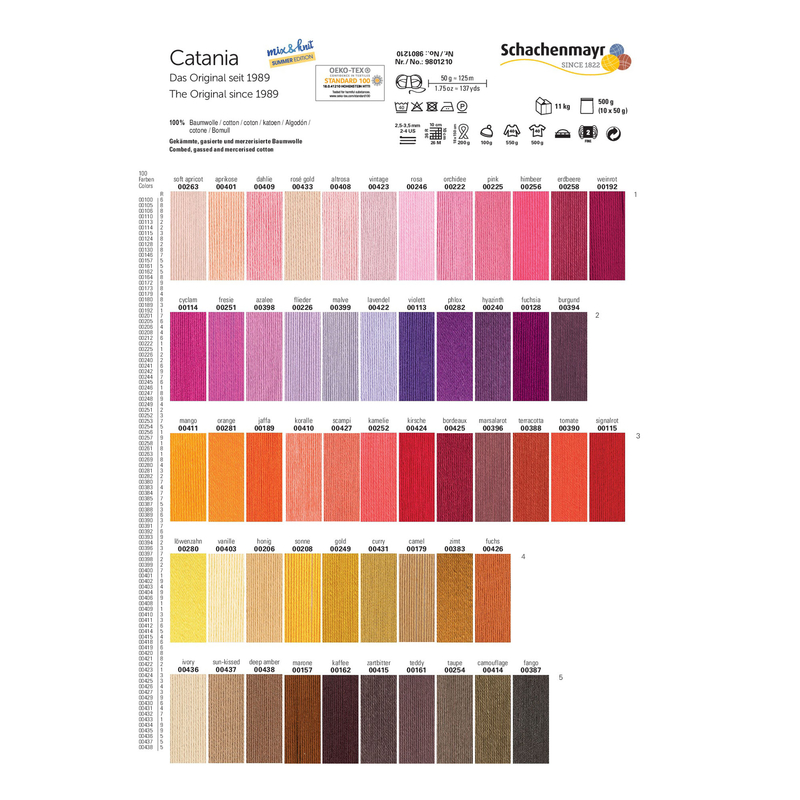 Catania uni is not only available in 100 different shades, you can also get your own shadecard with real threads for home! By using the real threads of the shadecard, you can easily match the colors for your next project and you will have all 100 shades available any time. Catania uni is our favorite classic made from combed, gassed and mercerized cotton. Whether amigurumis, clothing or accessories - Catania is a real all-rounder! Catania uni is certified to OEKO-TEX Standard I00 Product Class I and is suitable to produce toys (tested to EN 71-3). We wish you lots of fun with all projects from Catania - the original since 1989.